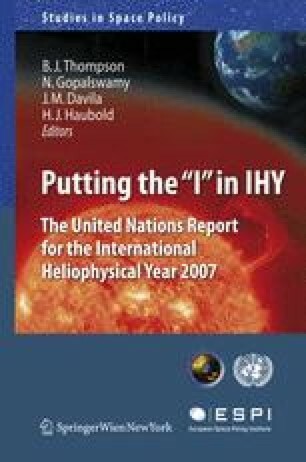 The International Heliophysical Year began as a vague concept in late 1999. Over the next few years a series of grassroots community workshops were held, and the IHY began to take shape. In these workshops the concept of Universal Processes was born, and the definition of this new word “heliophysics,” coined to imply a parallelism with geophysics, began to take shape. Also four main thrusts of scientific research, observatory development, history, and outreach were articulated.